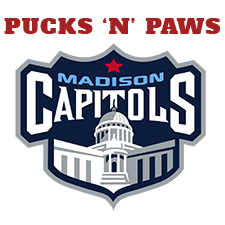 Pucks ‘N Paws ticket sales end Friday, March 15 at midnight CST! 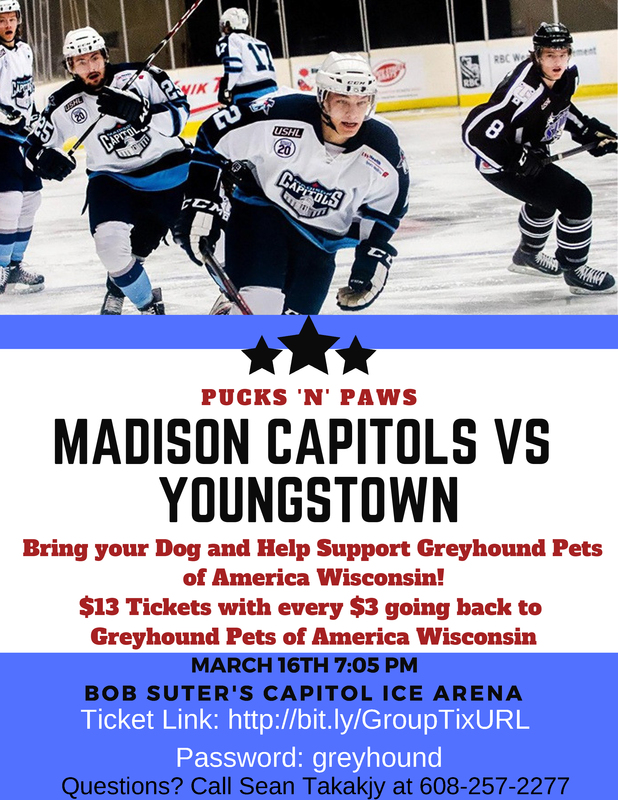 The Madison Capitols are taking on the Youngstown Phantoms on March 16 at the Capitol Ice Arena … and your ticket purchase can help retired racing greyhounds find loving homes! A portion of every ticket sold for the March 16 game helps GPA-WI and its mission of finding loving homes for retired racing greyhounds! Simply purchase your $13 ticket at the custom URL below, and $3 of your ticket purchase will be donated to GPA-WI. Plus, dogs are welcome to attend the March 16 event! 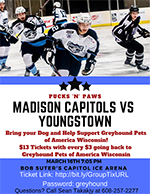 Contact Sean Takakjy with the Madison Capitols at 608-257-2277.